[30 Days of Halloween] Traumatizing Nostalgia: The Twilight Zone: 'Gramma' Review – AiPT! While it may not inspire the reverence of its predecessor, the 1980’s revival of The Twilight Zone has some truly fantastic episode. One of the best is the 1986 adaption of Stephen King’s classic short story, “Gramma”. Today, Mark Pellegrini and I take a look at how one of our favorite childhood television shows managed to successfully adapt one of our favorite scary short stories. Nick: Since we’re both big fans of the short story by Stephen King, I’ll start by asking how you thought the television episode stacked up to it. Mark: I think Harlen Ellison, who adapted the short story into a teleplay, did a great job economizing it. He had to fit the story into 20 minutes, so a lot wound up on the floor, but his streamlining was pretty strategic. Things like cutting out the character of Aunt Flo—who appears at the end of the original story to offer a potential resolution—and eliminating a lot of the everyday childhood backstory stuff, like George’s trouble with his older brother’s bullying. Part of why Stephen King adaptions often don’t work is the psychological aspect of his stories gets cut completely from the narrative. Ellison is one of the few television or movie writers who managed to retain it. Mark: That said, my one complaint is how he rescripted the climax. In the original story, Gramma rises from her deathbed and lumbers slowly down the hallway toward George. It’s THE SCENE from the story to me and it scared me like you wouldn’t believe. The episode, however, has it so Gramma never gets out of bed, but rather pulls George into the bed with her. It’s effective in its own way, particularly how Gramma uses her powers to make the door shut on its own and draw George to her. But it still caused the big moment from the story to be excluded from the adaptation. Nick: The ending in the short story was definitely better (and scarier), but probably not in the Twilight Zone’s budget to do it properly. To the show’s credit, though, the effects still hold up. Mark: I loved the makeup on Gramma and how you only see glimpses of her. It captured the description from the story really well—Gramma being this white inhuman blob of loose flesh. Nick: I saw Gramma when I was very young—well before I read the short story. My dad and I used to always watch Twilight Zone together. It’s the first thing I ever remember watching that truly terrified me. The dread and anticipation—like when George went to check Gramma’s breath with the mirror to see if she was still alive—felt almost unbearable. I was freaking out and covering hiding my eyes, but still desperately wanted to know what happened next. My dad could do a really good impression of Gramma yelling “GEORGIE! BRING ME MY TEA!” That was not pleasant. Mark: My experience reading the short story was pretty impactful (and terrifying), too. When I was 12, we moved in with my grandmother. She had just had a stroke and was bed-ridden. I wasn’t afraid of her or anything—she was very sweet—but when I read the story for the first time, at THAT time, my mind’s eye pictured everything as being my house and my grandmother. Even to this day, when I reread it, I see in my head the upstairs hallway at my grandma’s house, her bedroom, etc. and it creeps me out. That’s one of those great things about experiencing horror through reading. You can project a lot of the details to make them more personal. Sometimes people will read the same thing as you and not “get” it. The story didn’t scare them as much as it scared you and they don’t get what the deal is. But sometimes, a horror story can elicit a very personal projection and hit all those buttons for a reader on an individual level. Considering how much Lovecraftian fiction I’ve read, it’s funny to think about how I didn’t recognize (or even know) all the mythos references back then. Mark: That was something Ellison made even more explicit in his version. I hadn’t been introduced to Lovecraft when I read the story as a kid, so those elements went over my head. It was neat to rediscover them when I reread the story today. In the original, King just name drops Yog-Sothoth and Hastur. Ellison goes one step beyond and has George find the freakin’ Necronomicon beneath the floorboards and even mentions Cthulhu. Nick: What did you think of the way the episode added the adult voice overs to cover the family’s backstory? George’s inner monologue is a big part of the story, so I was glad they kept that in there. But using it as a device to bring in his memories of Gramma’s history was really well done. Part of that streamlining on Ellison’s end that better fit the story to the TV anthology angle. Nick: That’s not easy to do in 20 minutes of screen time. Mark: The episode was directed by a guy named Bradford May, who isn’t very famous apparently, but he did an excellent job. Speaking of the adaptation process, it’s interesting what stuff Ellison elected to keep—mainly the idea of the telephone utilizing a party line. That’s a very old fashioned thing and it played into a big part of the short story. Every time George tries to call for help, one of his neighbors is on the party line and won’t get off. But since the story had to be truncated for TV, that aspect was downplayed. It probably could have been omitted entirely or just simplified to a “the line is dead” sort of thing. Nick: I think the ending is the one part of Gramma where the short story is definitively better then the television episode. All that scary stuff with George giving his aunt an aneurysm and thinking about how he’ll torture his brother with his newfound powers gets replaced with his eyes flashing red. But once again, all of that would have been very hard to portray on television, especially with such a limited amount of time. Mark: Yeah, the very end of the episode still gives you the revelation that George is possessed as a last second twist, but the short story drew it out further and made it clearer and more detailed. Like you said, though, they’re working with different mediums and the quick surprise twist effect worked better for TV. Nick: That ending was another thing that really stuck with me. As a kid, I don’t think I’d ever watched a show where the “villain” won. Mark: What do you think of the 80s Twilight Zone in general? 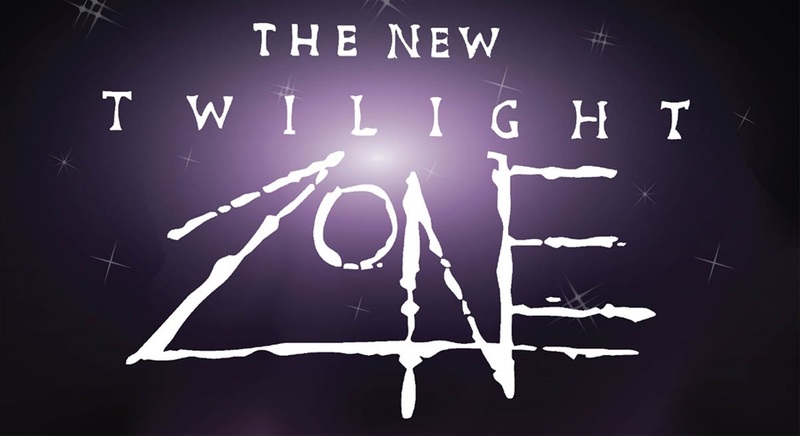 Nick: Maybe it could be that “nostalgic veneer” I’ve discussed in our nostalgia reviews before, but I think the 80’s revival of The Twilight Zone was amazing. Nick: A lot of the episodes still hold up today—like “Dealer’s Choice”, where a bunch of guys (including Morgan Freeman) ending up playing a game of poker for their souls with the devil. That one’s a classic. Mark: “Something in the Walls”, written by J. Michael Straczynski, that was the scariest thing I’d ever seen on TV at the time. It was about monsters that live in wallpaper patterns. Sounds ridiculous, but it was really terrifying. Such a simple effect, someone pressing their face against a sheet of latex (disguised as a wall), but looks better than any multi million dollar CG effect I’ve ever seen. The 80s Twilight Zone got a lot of top tier writing talent and put serious budgets into their episodes. They were VERY good. But if the audience can look past the branding, it’s genuinely one of the best anthology horror shows of the time. Nick: And “Gramma” is definitely one of its best episodes.